It’s time to rock in Florence… in the most refined way! The oldest and most prestigious music festival in Europe, after Salisburg, is held every year in Florence, Italy. The greatest concert musicians, contemporary artists, singers and lyricists from around the world flock to Florence. Thousands of tourists fly in to experience this festival, so I recommend booking your accommodation in Florence as soon as you can, check out Venere. Try to also book your train tickets, if needed, as they may cost less in advance. If you’re already in town, then even better! The ‘Maggio Musicale Fiorentino,’ or the Florence Music Festival is one of the most important musical events of the year. It’s directed by the master Zubin Mehta. The festival was founded on the Florentine traditions of the Renaissance, when the Medici family declared that music was one of the most important aspects of life because it brought joy, pleasure, and freedom of expression. For the month of May the musicians live in Florence, getting musical inspiration from the natural harmony of the Tuscan atmosphere. This year marks the 78th anniversary of the festival and will run for two months, from April 27th to June 28th, but the most important concerts and the highest concentration of events will take place in May. There are also many opera and ballet performances to choose from. The concerts take place inside the Teatro Comunale and the Piccolo Teatro. The Teatro Comunale (Public Theater) holds 2,000 guests while the more modern Piccolo Teatro (Small Theater) has 600 seats. Depending on the concert, tickets start at 25€ and run up to 100€. The highlights are Fidelio, directed by Zubin Mehta, which will kick-off the festival. For the first time on an Italian stage, Beethoven’s timeless opera will be performed with an incredible cast and young performers. Over 4,000 young children from around the Florence area have been practicing in their schools and will get on stage to sing in Fidelio. Don’t miss this one! The other three highlights are Candide by Leonard Bernstein, Giro di Vite by Benjamin Britten performed at the Teatro Goldini, and Pelléas et Mélisande by Claude Debussy. The festival will host concerts by legendary musicians such as Maurizio Pollini, Murray Perahia Julien Brocal, Maria Joao Pires, Krystian Zimerman, Lang Lang, Grigory Sokolov and Evgeny Kissin. The Opera House of Florence will be showing The Barber of Seville—one of my favorites!—by Gioacchino Rossini and Madame Butterfly by Giacomo Puccini. I’ve adored opera since I was a kid, maybe my grandfather‘s passion wore off on me, so I’ve been lucky enough to see many performances and am always ready for more. 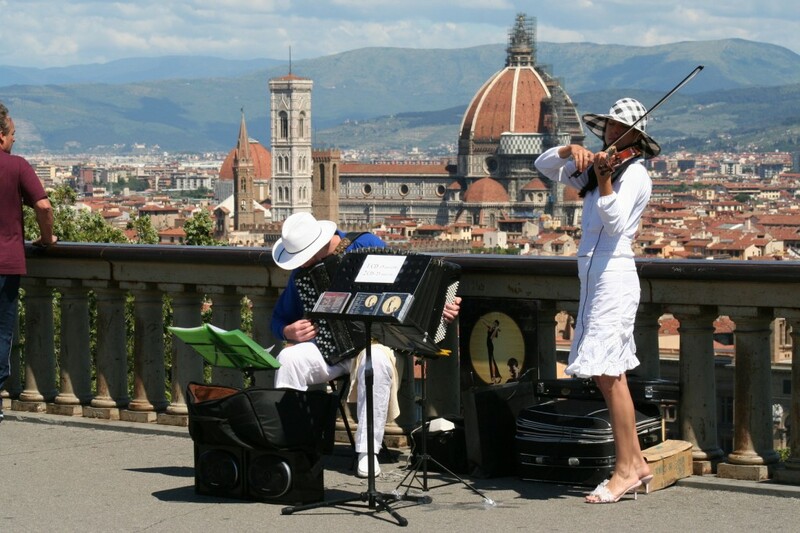 So, whether you’re a lover of opera, music, art, or Florence in general, make it out here this Spring for the 2015 Florence Music Festival! Let me know if you can attend, and don’t forget to eat like a God when in town. Are you attending this event? Not sure of a better place to indulge in the finest music. Looks like a lot of fun, and what a perfect setting! Right? I agree, the event is an amazing fixture to the city of Florence!